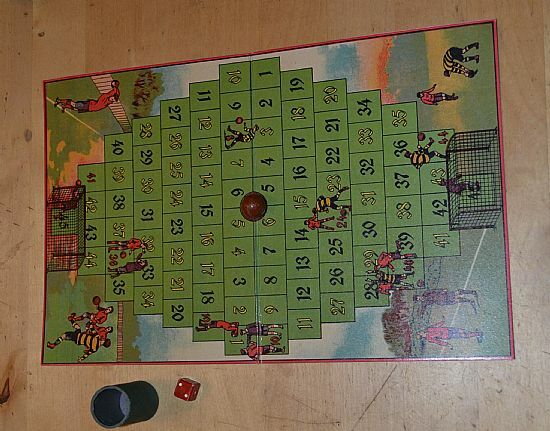 Nice simple snakes and ladders type game with some additional great design and gameplay features.Very long lived game produced for decades by Spears games..
Classic game with board, dice and counters. Nicely thought out gameplay and board design. 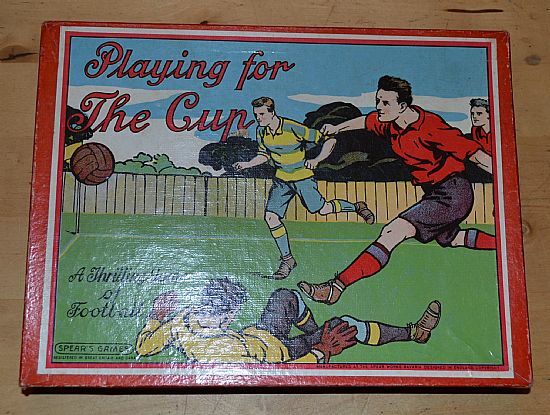 Game board has illustrations of extremely old football kits but this version appears to be from the 1950s or so. 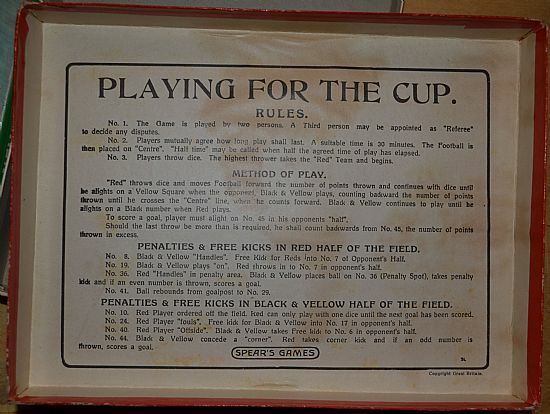 Simple rules and well thought out twists and forfeits.